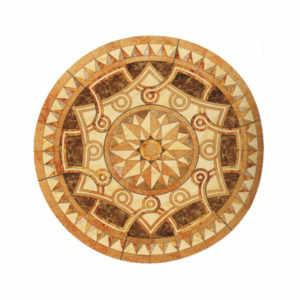 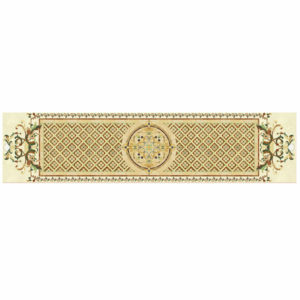 Medallions This wonderful waterjet floor medallion mosaic will fit wherever you have in mind to place it. 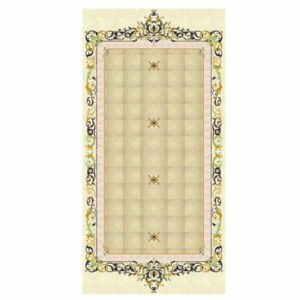 Smaller rooms or greater hallways it will enrich you’re your ambient. 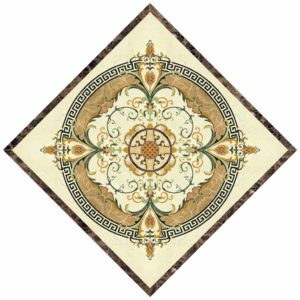 The abstract darker elements combine perfectly with the lighter cross like figure in the center of the mosaic. 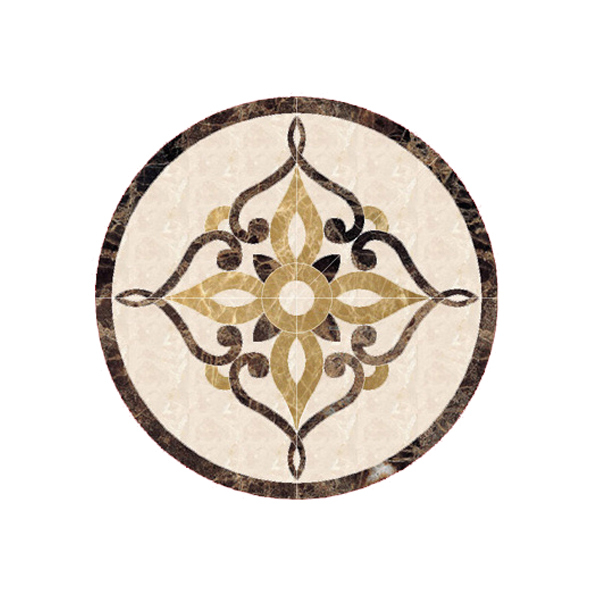 This simple but beautiful arrangement of its marble elements is perfect to ensure you a classy design of your floor.